I'm losing hope now Aniplex!!!! These two would look fantastic plllllleeeeeeaaaaasssse don't forget about them!!!!! how many year are we gonna wait for thisss??? okami34 (1 jaar geleden) #21987941What about the men? I would love Archer in a hakama or kimono, but I highly doubt it will EVER happen. The men in this series rarely get quality scales much less variant outfit quality scales. To be honest, I think they'll probably release this closer to Heaven's Feel. 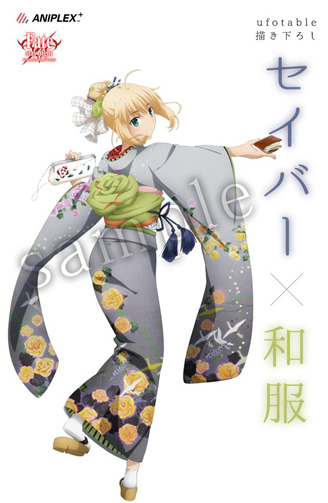 They're already releasing a kimono saber, so I think they might want to wait for the series to be airing or about to air before showing off the Rin&Saber.